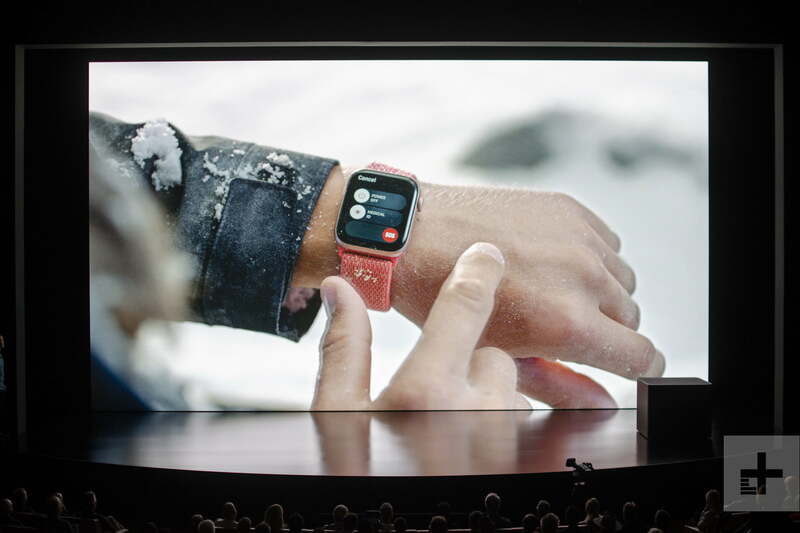 At its September hardware event, Apple unveiled it’s highly anticipated next-generation smartwatch — the Apple Watch Series 4. From a larger display to a built-in electrical heart sensor that can measure a variety of health metrics, the latest device brings along some notable new features. Here’s everything you need to know about the Apple Watch Series 4. Apple employees are reportedly testing sleep tracking on the Apple Watch Series 4, but we shouldn’t expect to see the feature hit Apple Watches before 2020. This feature has been expected in Apple’s wearable since the company snapped up sleep tracker Beddit back in 2017. According to a report from Bloomberg, Apple employees have been testing a sleep tracking feature for the last few months, but Apple is apparently in no rush to add it any time soon, with most saying we won’t see it until next year, by which time the Apple Watch Series 5 will likely be the new hotness. Part of the issue with sleep tracking on the Apple Watch is likely battery. Nighttime is when most Apple Watch owners charge their device, and keeping it on to track sleep will make it harder to time charges. It’s possible Apple will look to add more advanced Qi wireless charging in later models to reduce the amount of time owners need to charge their devices, making it possible to plonk the watch down on a pad first thing in the morning or at some other convenient time. One of the Apple Watch Series 4’s headline features is the ability to take an electrocardiogram (ECG) measurement of your heart’s electrical pulses to gauge your heart health and give a vague baseline for your overall wellness. It’s been approved by the American Food and Drug Administration, but it wasn’t quite ready for release. 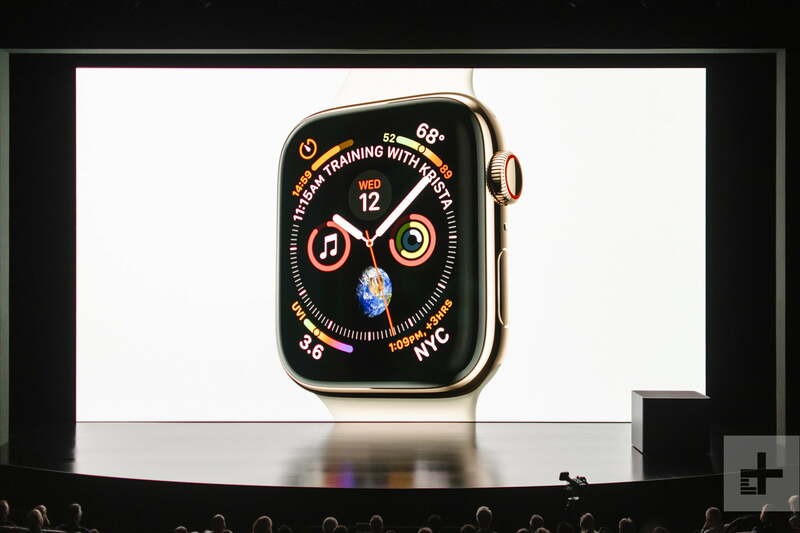 But it is now, and Apple Watch Series 4 owners can update their phones and give the feature a whirl. It’s easy to use; simply open the app on your Apple Watch Series 4, then hold your finger on the Digital Crown until the measurement is complete. 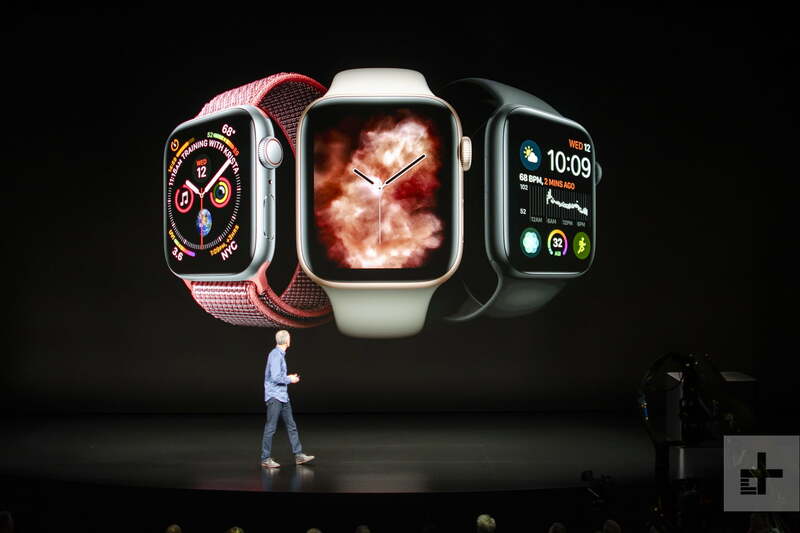 The Apple Watch Series 4 comes in two sizes — 40mm and 44mm – and also brings along a 30 percent larger display. There’s also a redesigned modular watch face with more detailed and graphic information. Users can see stocks and heart rate, track scores from sports teams, view boarding information, and more. In terms of colors, the Series 4 comes in three aluminum finishes — silver, gold, and space gray. 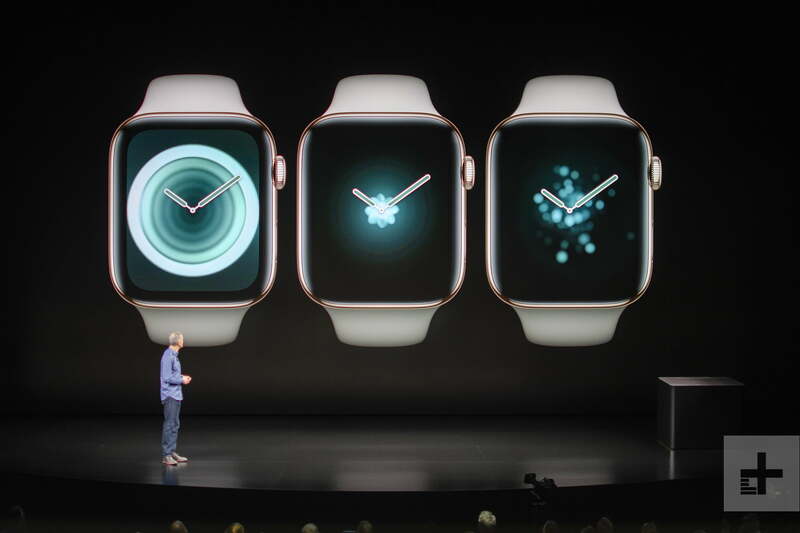 The Series 4 also comes in gold stainless steel with a Milanese band, in addition to the silver and space black stainless steel options. The new bands will also work with any of the Apple Watch predecessors. The Breathe app, which many use for meditation or to lower their heart rate, will now be available as a watch face. That way, you’ll be able to use it by simply raising your wrist to allow the Breathe app to guide you through deep breaths. For the most part, the Series 4 looks similar to its predecessors, although there’s a new digital crown with haptic feedback. This will allow for a more responsive feel when you flip through items on your watch. The speaker has also been completely redesigned, making it 50 percent louder, and the microphone can now be found on the opposite side — far away from the speaker. This will hopefully help to reduce echo and make phone calls much clearer. The back of the Series 4 is made of black ceramic and sapphire crystal, allowing radio waves to pass through the front and back. Apple says this is meant to improve cell reception. Under the hood is Apple’s next-generation S4, 64-bit dual-core processor that’s been designed to perform two times faster. The accelerometer and gyroscope have twice the dynamic range and can sample motion data eight times faster. Nothing has changed when it comes to battery life, though — the Apple Watch Series 4 has the same 18-hour, all-day battery life. Apple has increased outdoor workout time to six hours, with full GPS tracking for long bike rides. The Apple Watch Series 4 runs Apple’s new WatchOS 5 operating system. It comes along with a variety of improvements, like enhanced fitness and health tracking, walkie-talkie mode, and more. The Series 4 also has a ton of additional health features. For starters, it can now detect when you fall by analyzing wrist trajectory and impact acceleration. It will then initiate an emergency call. If it senses you’re immobile for 1 minute, it’ll automatically call and send a message to your emergency contacts using the SOS feature. While older models of the Apple Watch include an optical heart rate sensor to track calories burned, resting heart rate, and more, the Series 4 offers a few new features. You’ll now receive a notification if your heart rate appears to be too low — which could mean that your heart isn’t pumping enough blood to the body. In addition, the Apple Watch will now be able to screen your heart rhythm in the background. It’ll send a notification to the watch if it detects irregular rhythm, which could point to atrial fibrillation. While the device isn’t able to diagnose the issue, it can detect it for you so you can then consult a doctor. Perhaps one of the most impressive features on the Series 4 is the built-in electrical heart sensor. Built into the back of the sapphire crystal and digital crown, users can now take an electrocardiogram (ECG) — the first of its kind in a smartwatch. This will measure electrical activity of the heartbeat in order to help diagnose heart disease and other conditions. You’re able to take an ECG anytime, anywhere, straight from your wrist by opening the app and placing your finger on the digital crown. Since all of the information is stored in the health app, you’ll be able to share the ECG with a doctor, who will be able to see a more detailed picture of what’s going on. Apple has also received clearance from the Food and Drug Administration. The Apple Watch Series 4 is now available for purchase and starts at $399, while the cellular model starts at $499. Updated on February 27, 2019: Apple is working on sleep tracking for the Apple Watch.